- The key �Upgrade� for software upgrading and avoids to be blocked by SONY. Users can also upgrade the updated software through computer. - Reading speed will be 2 times faster and it makes users to play more smoothly. - Games can be copied and saved to internal or external hard disk, in this way, the expensive blue-ray driver and disc can be abandoned. - Plug & play USB port, the installation will be finished in a few seconds. - Homebrew software is supported. - Simple and clear illustrations will guide you to install step by step. 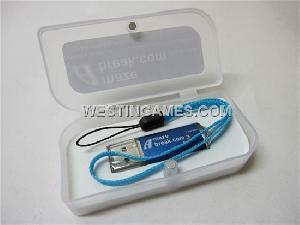 - AMAZEBreak is compatible with all fat and slim model.